As you know I'm virtually to the end of my own old photos, but I've had a look through them and here are some that may be repeats, but taken from different angles. My apologies if you have seen any of these before. 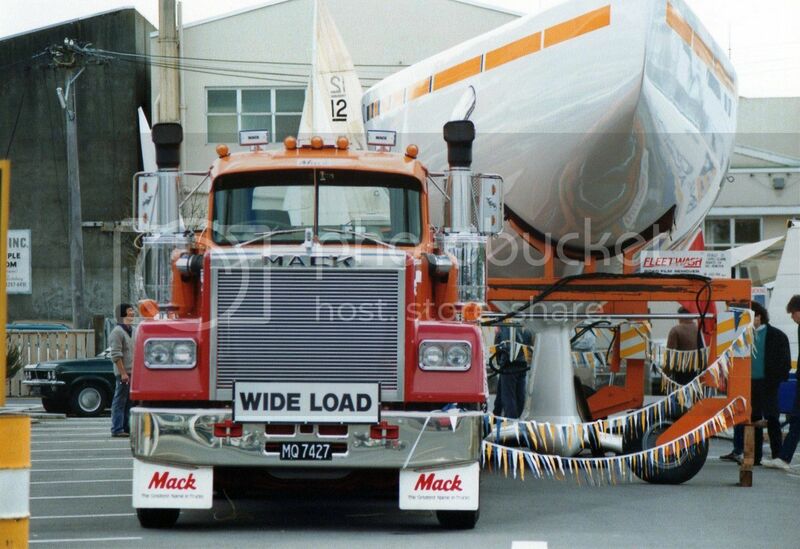 Two shots of the Freightways Superliner that took an America's Cup hull around NZ on a promotional tour. 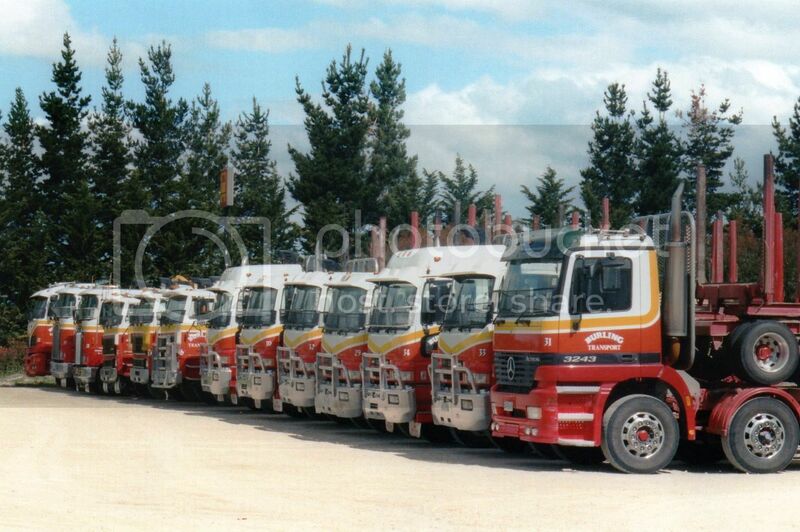 A Mercedes, Foden, Internationals and several Mitsubishis line up with a couple of Kenworths in the Burling Transport fleet. 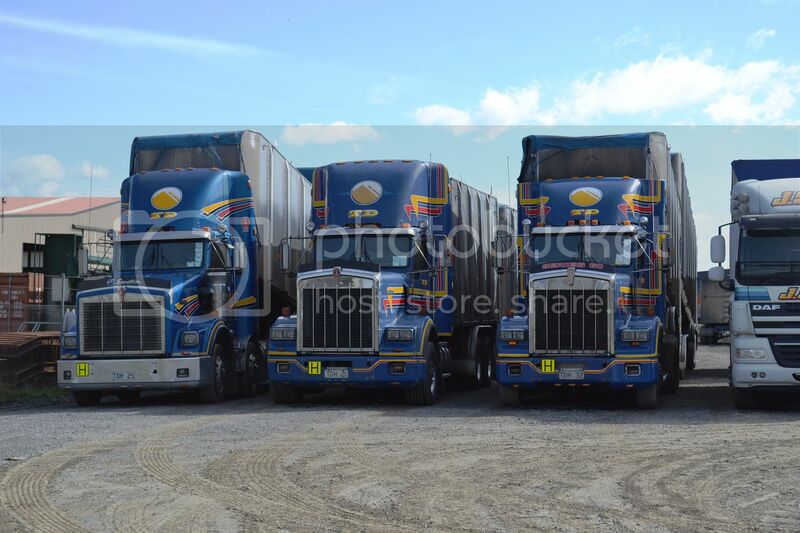 Nowadays, I think it's a 100% Kenworth. 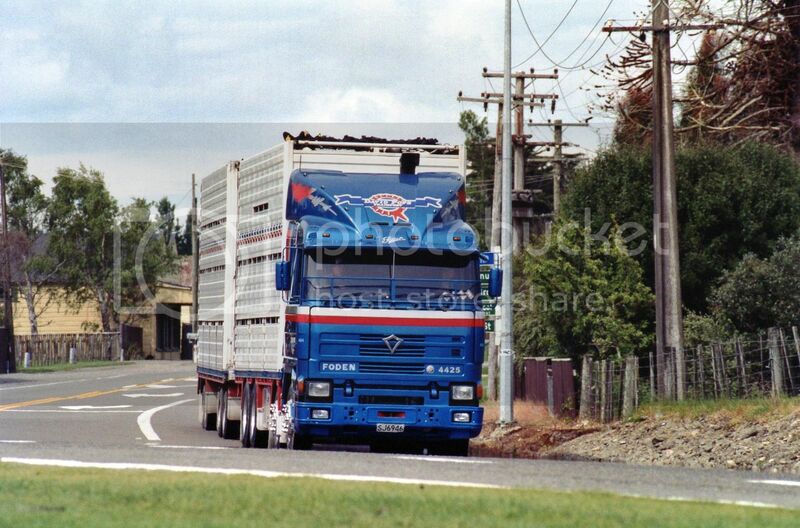 A David Pope Foden heading through Mangatainoka. 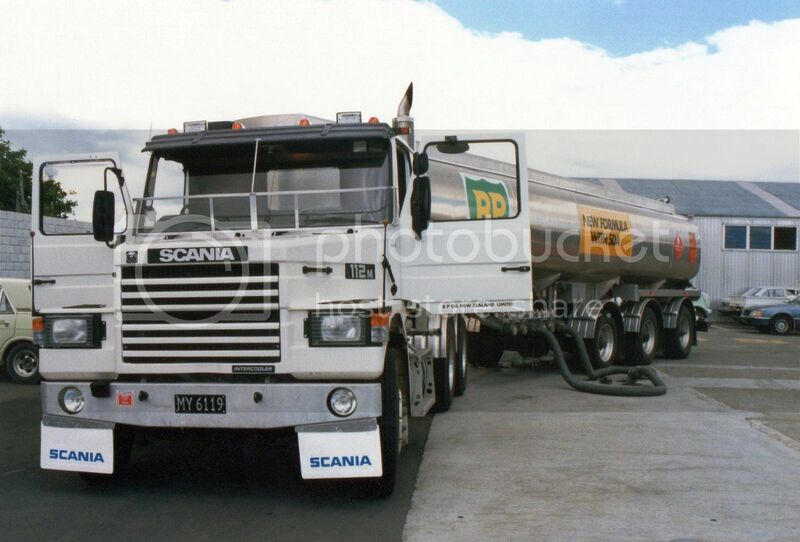 RMD's fleet consisted mostly of Kenworths, but there was at least one Western Star. This photo dates from 2001. 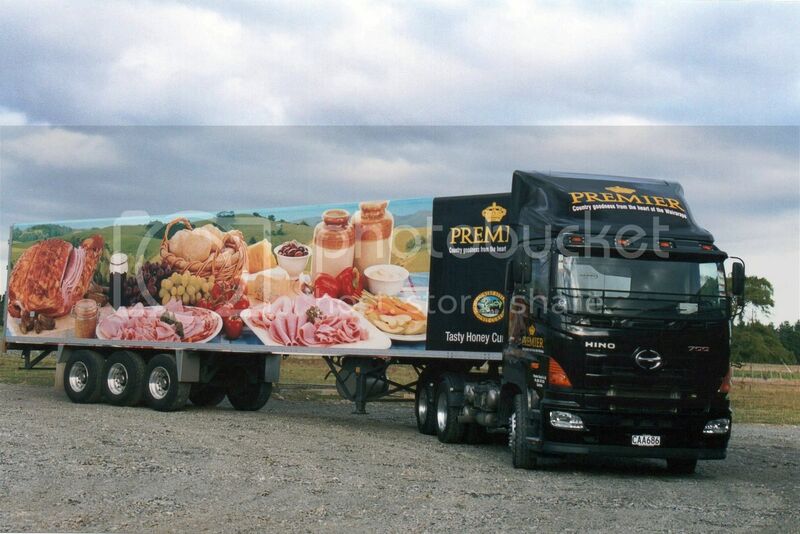 Premier Bacon's Hino had smart livery, but unfortunately was fairly short lived due to changes in supermarket distribution which made it preferable for Premier to use outside transport companies for their deliveries. I think that trailer is still in existence wearing the same artwork. 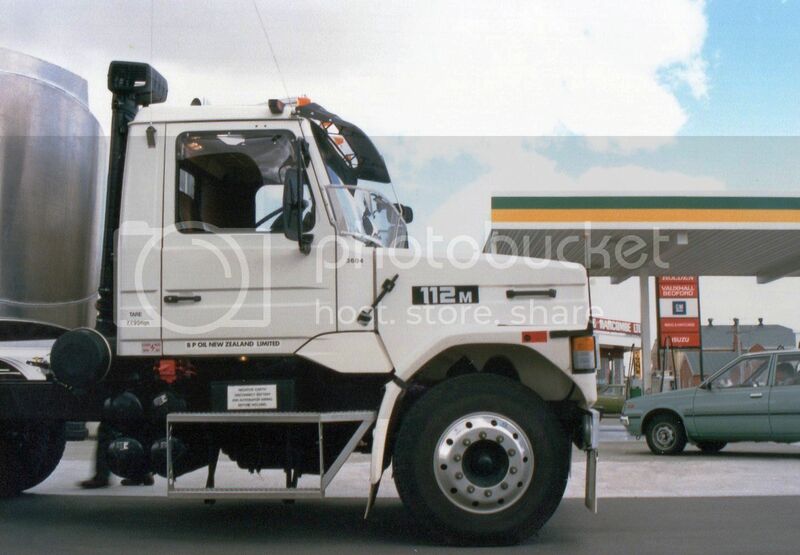 The Hino went to PTL, but I'm not sure if they still have it. 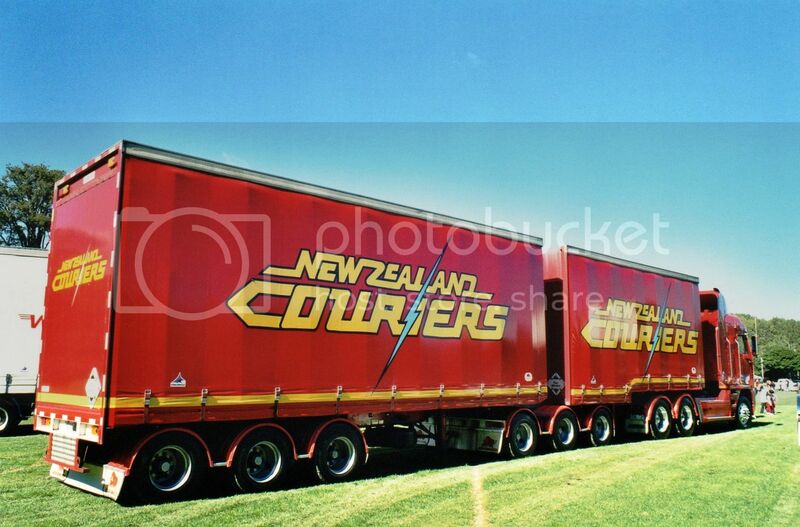 Curtain side B-train in NZ Couriers colours pulled by Freightliner Argosy. 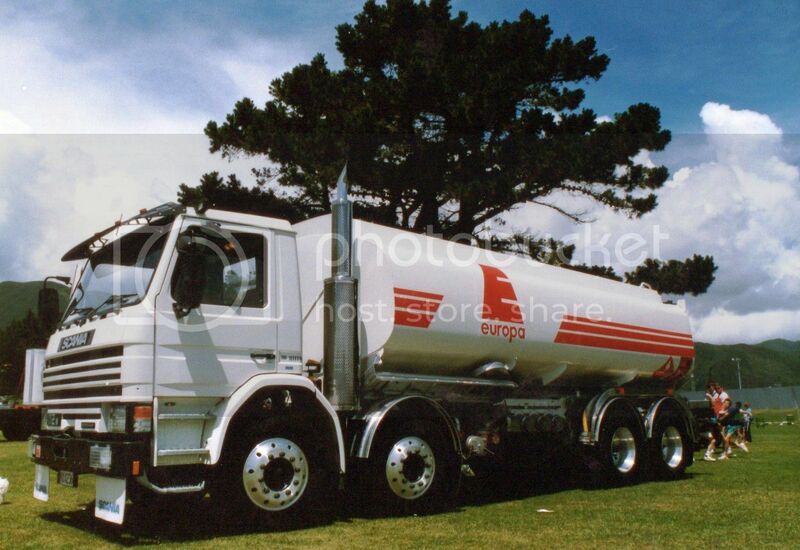 This Scania must have been one of the last in the livery of Europa fuels. 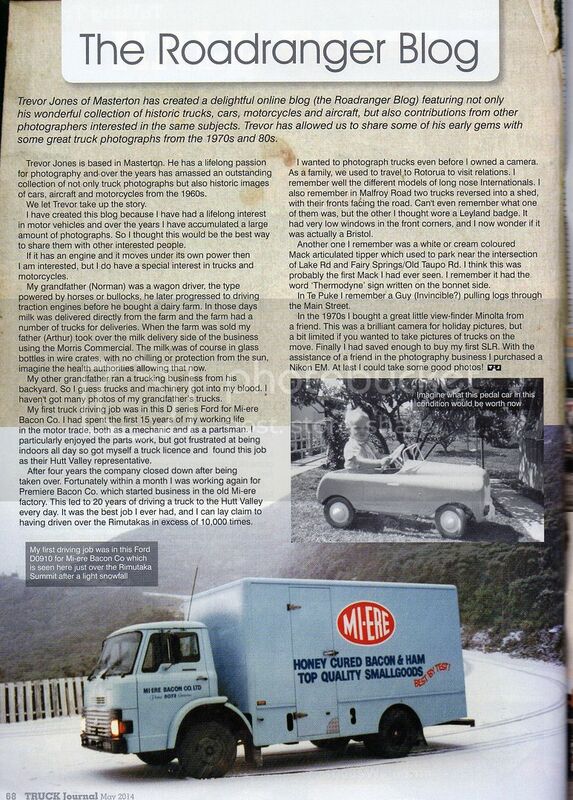 The May edition of Truck Journal has devoted 5 pages to my blog. Editor, Simon Vincent, obviously appreciates my blog as much as I appreciate his magazine. 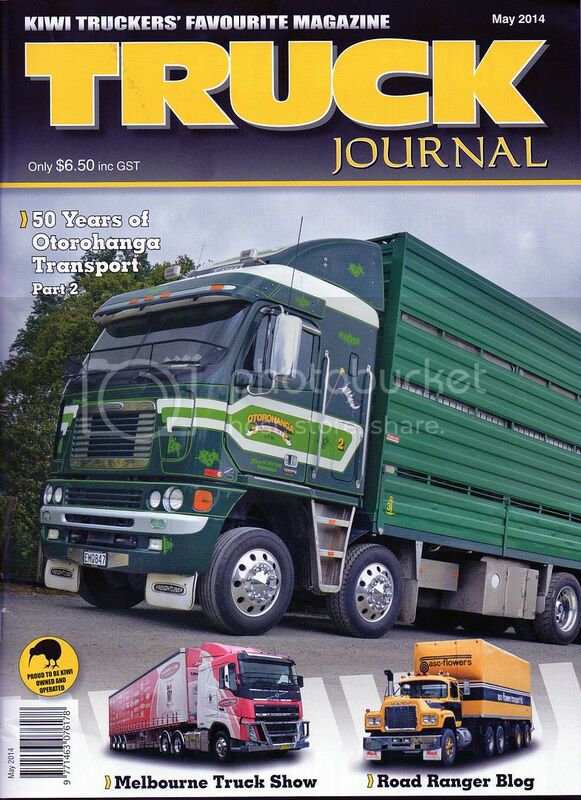 Go get a copy today at newsagents and supermarkets. Or better still, subscribe and get it posted to your door. There ain't no better value at $6.50. Today (Saturday) my wife had to go to an "All girls " party and stay away overnight, so, although I should have been mowing the lawns (there's always tomorrow) I decided to go for a ride.I headed towards Wanganui then turned off on Warrengate Road towards Fordell and then followed the road through to Hunterville. Lunch at Crank's Cafe (he's a motorcycle enthusiast).He has a inclination towards old Triumphs, but admits you need to be more mechanic than motorcyclist to own one. He also owns a Gnat (remember them) and some Trekkas!!! 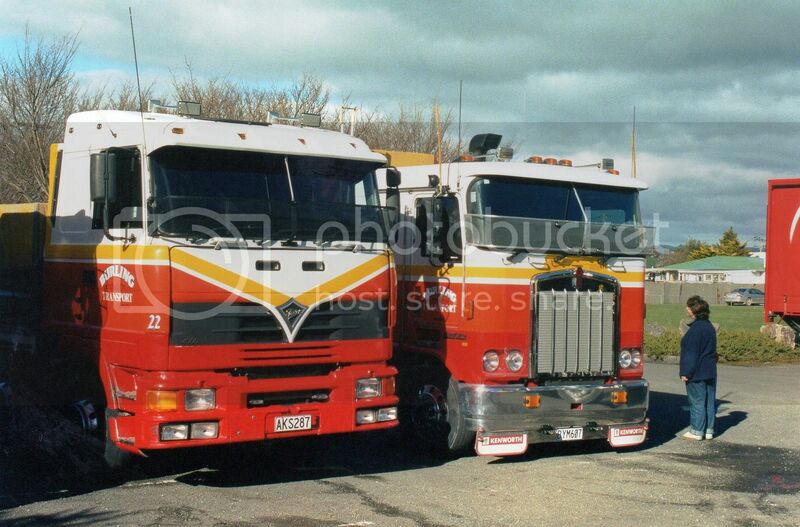 Only Kiwis could identify both of these. 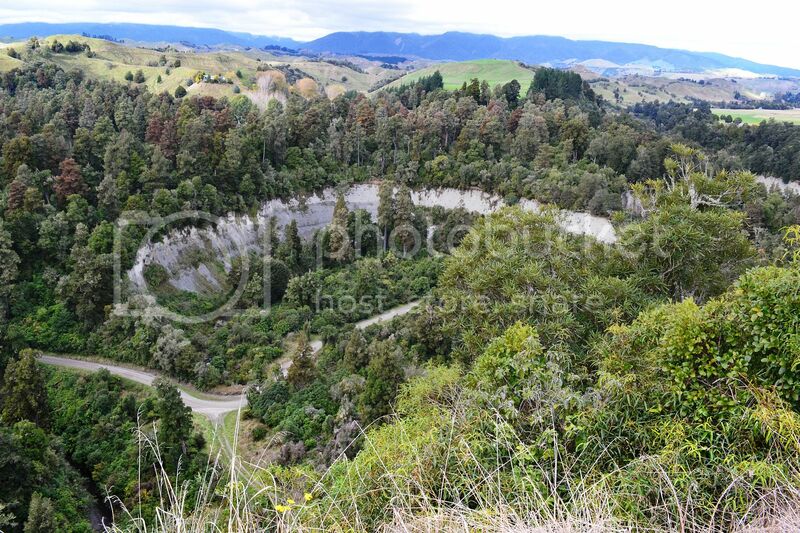 Then up to Mangaweka and back through Kimbolton, the Saddle Road, through Ashhurst and back to home base. 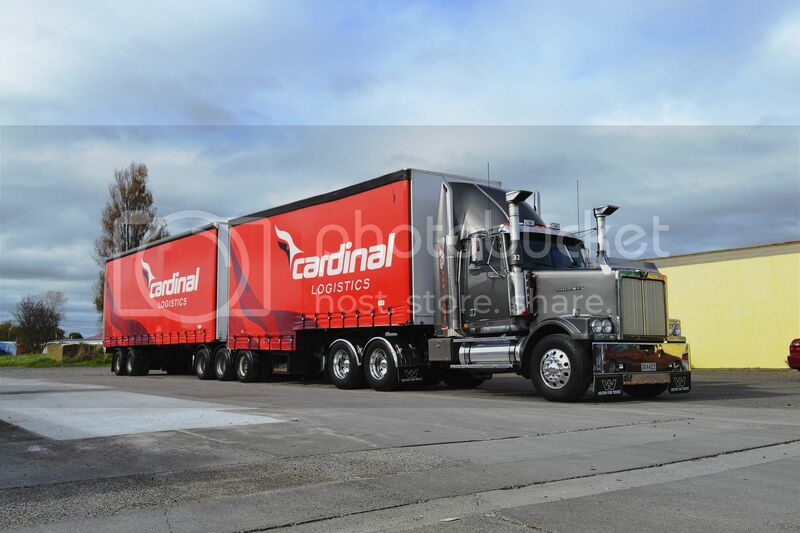 A 2006 Western Star 4964FX pulling a Cardinal Logistics B-train appears to have no identification on its plain grey paint. 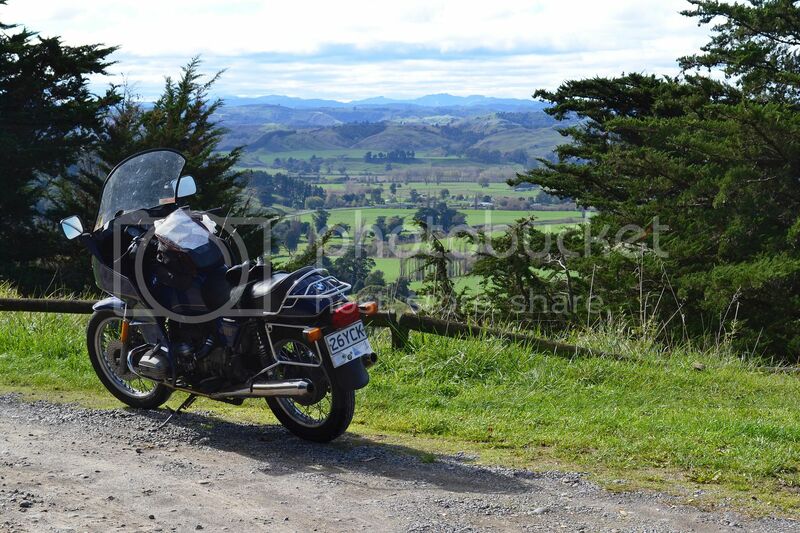 A short break to stretch the legs on the Wanganui-Hunterville road. 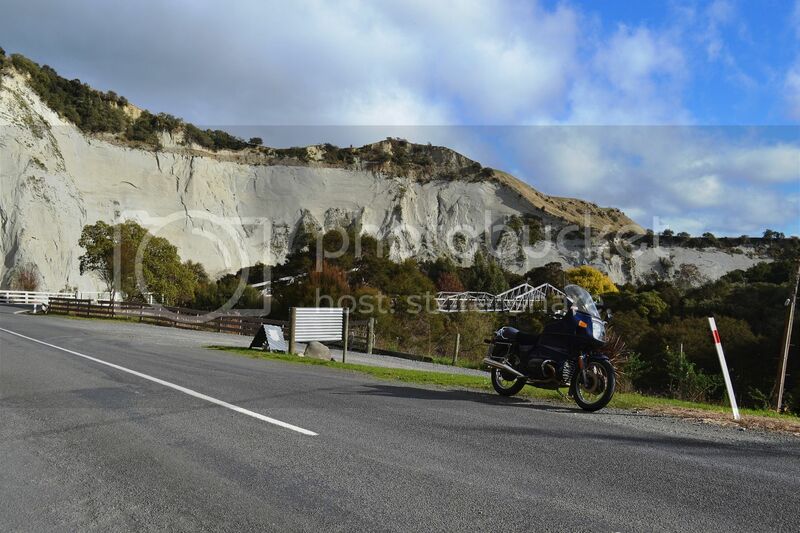 Shortly after turning off at Mangaweka I crossed a bridge past these gleaming white cliffs. A little further on there is a lookout over this horseshoe bend in the river. 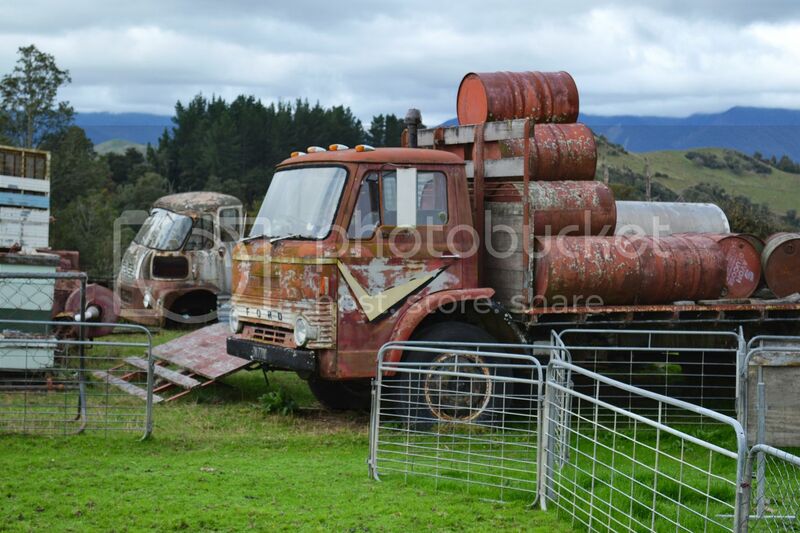 A farmer on this road seems to have old vehicles he doesn't want to part with. 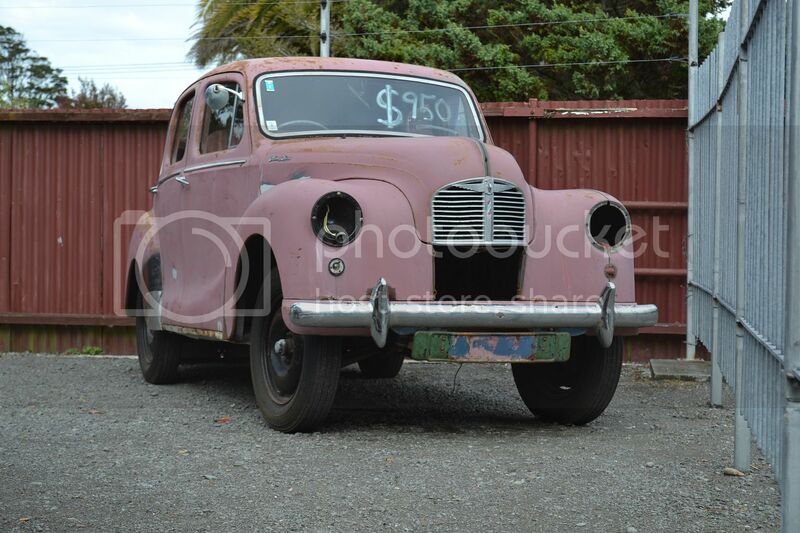 D series Ford and FG Austin or Morris. Another break at Cheltenham with a tractor and attached machine passing through. In my years of taking truck photos this is the first time I've managed to capture a Kenworth L model. 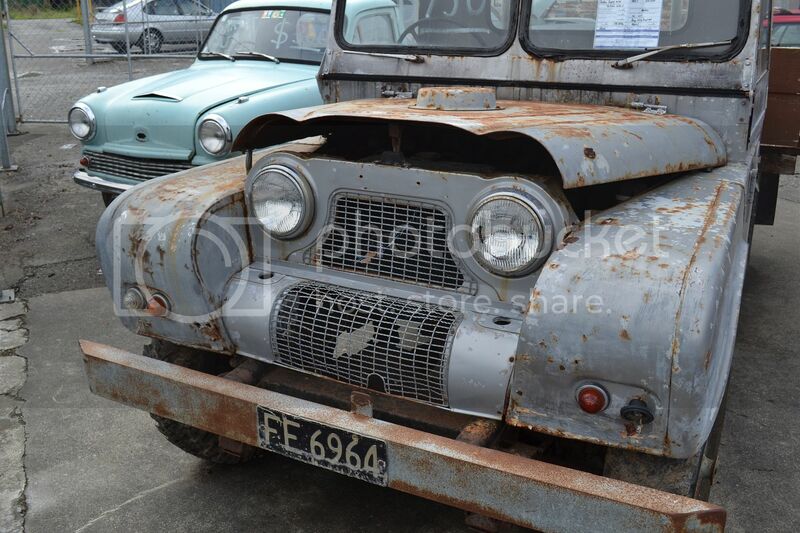 This 1989 example was parked in a timber yard at Pahiatua, less than an hour from my home. Please excuse the slightly blurry photo, but light was fading and had it been a film camera I probably wouldn't have been able to snap it at all. A few more from my North Island trip. 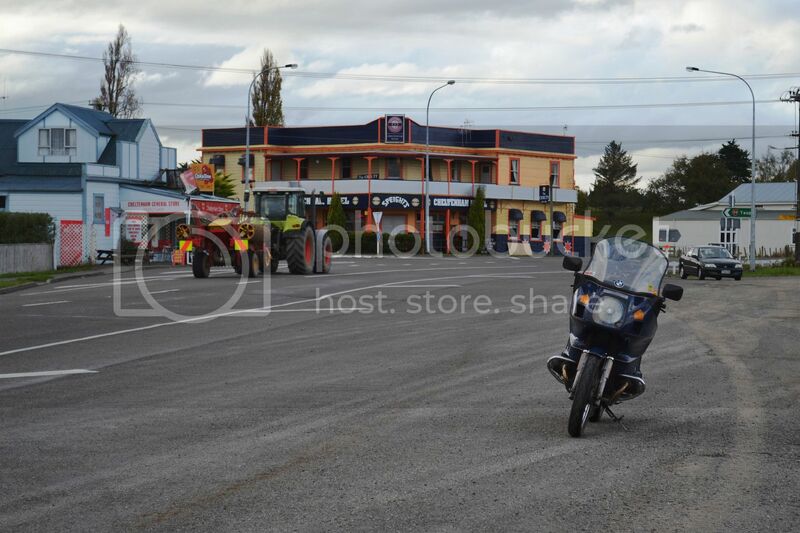 Went to Matamata over the weekend while based in Putaruru. 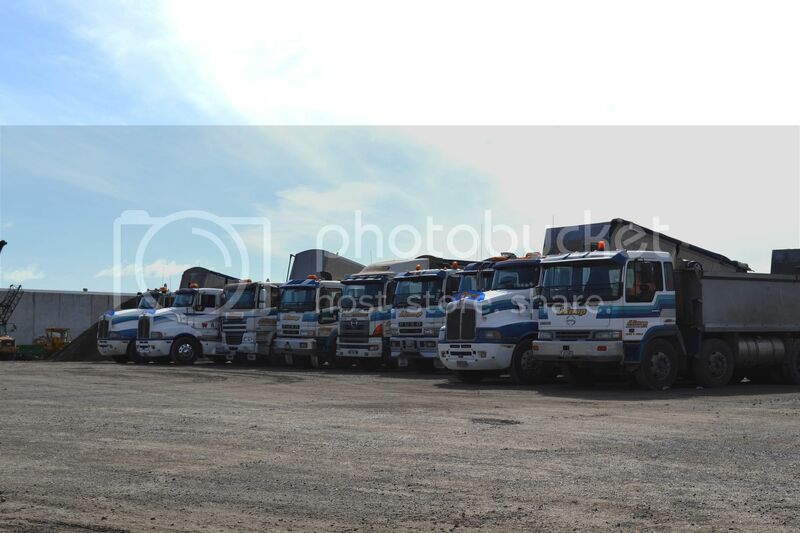 J.Swap's yard was full of tippers of all sorts of makes, including Kenworth, DAF, Fuso and Hino. Jap and yank side by side. 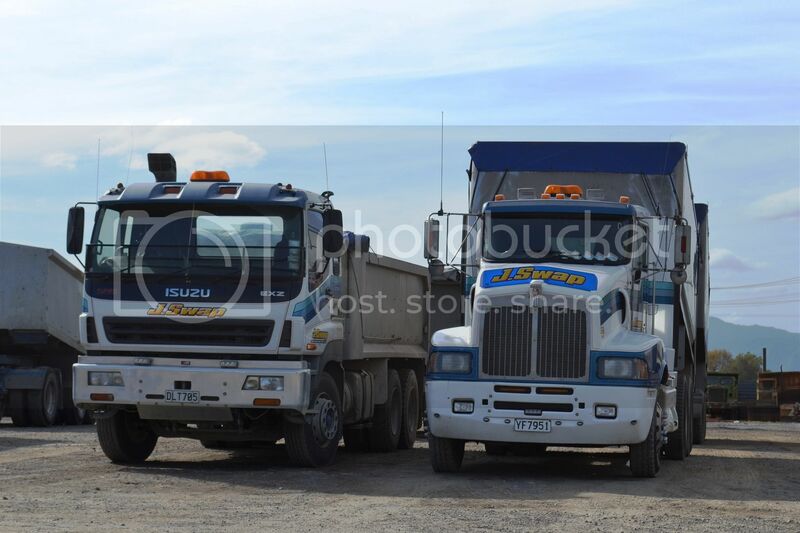 2006 Isuzu EXZ and 1999 Kenworth T401. 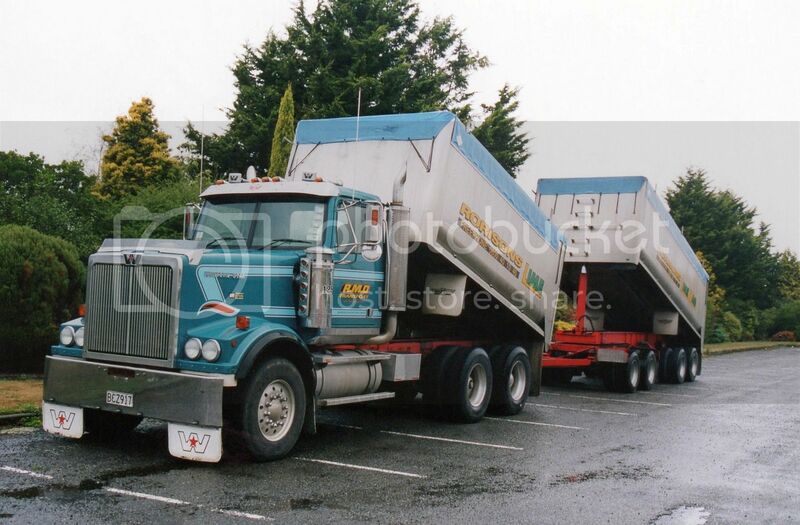 TD Haulage also had three Kenworths in Swap's yard. All T800 models, with the 2009 example on the left looking quite different to the other two earlier models (2006 & 2000). 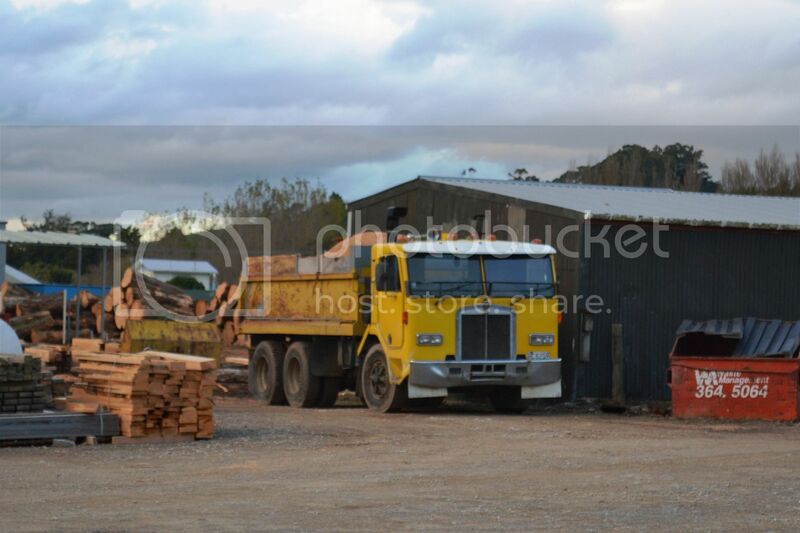 2014 UD Quon CG470 of Taylor Brothers Transport in a yard near Swaps. 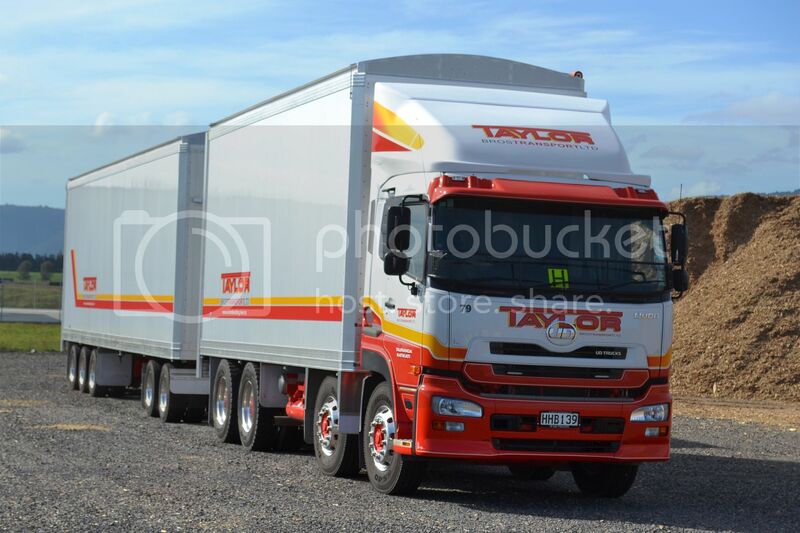 Based in Tauranga, Taylors specialise in bulk haulage of numerous products, including stock food and wood chip. 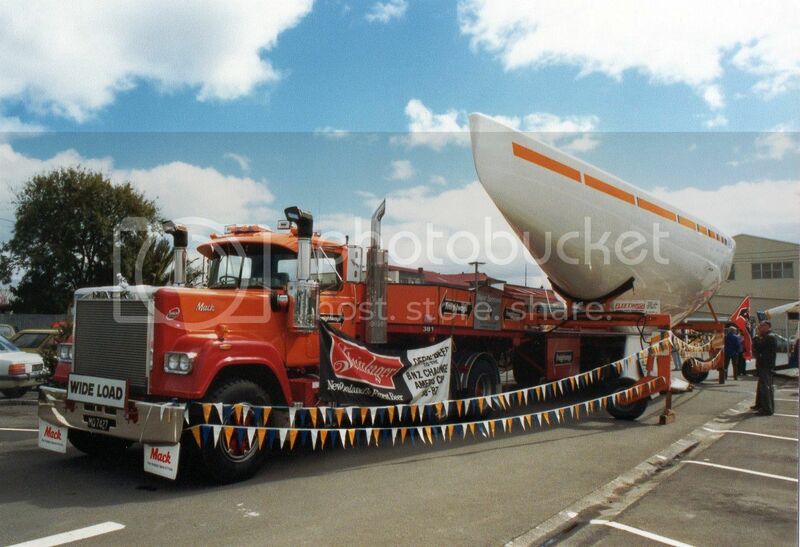 The UD name has replaced the Nissan Diesel name in NZ in the last few years. It seems surprising it has taken so long to change as UD has been the brands moniker in Australia as long as I can remember. 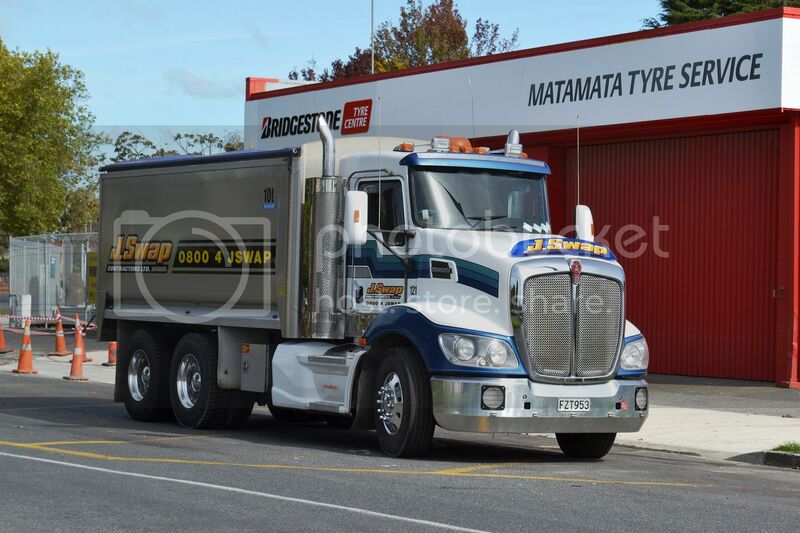 2011 Kenworth T408 of Swaps in the street in Matamata. J.Swap's trucks seem to be everywhere in this area. 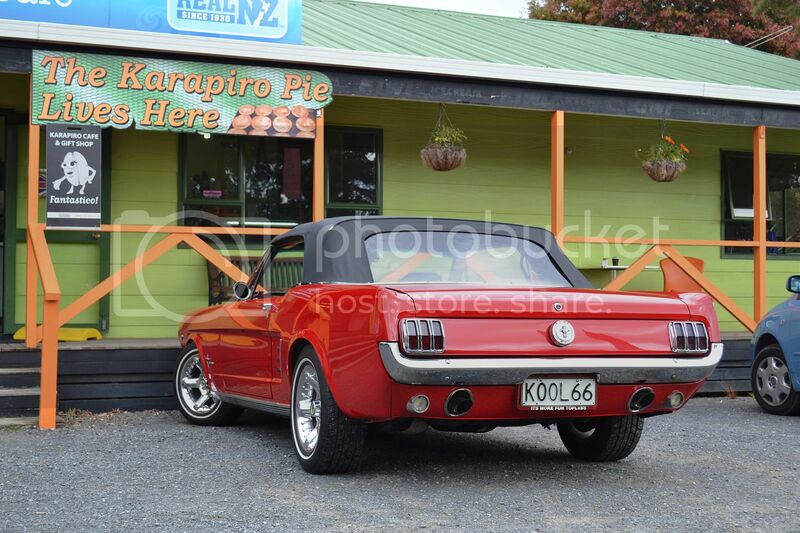 Very nice '66 Mustang, where we had lunch near Cambridge. On the way home we stopped for brunch in Hunterville. 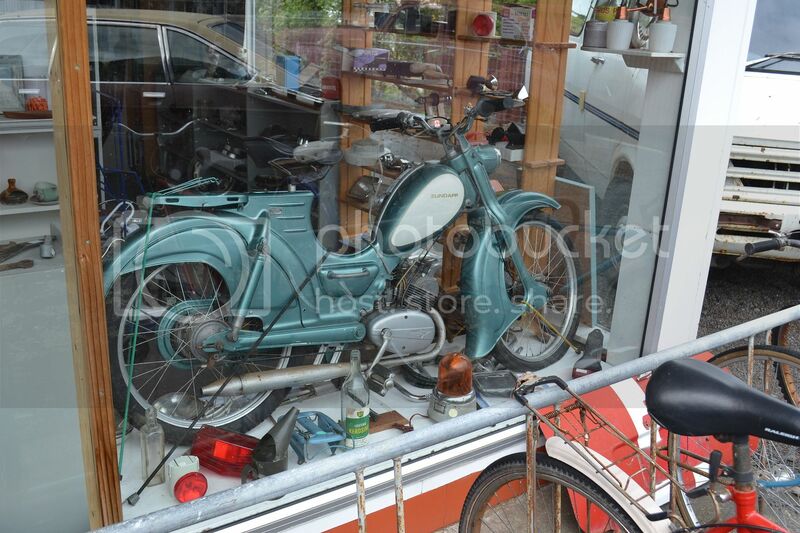 ....and in his showroom window, this Zundapp moped. 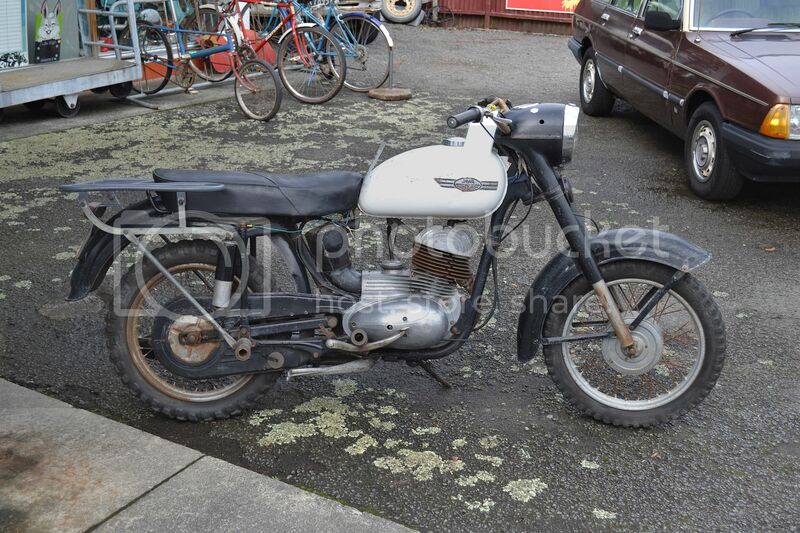 Back in the 70s a work mate of mine used to ride one of these to work every day. 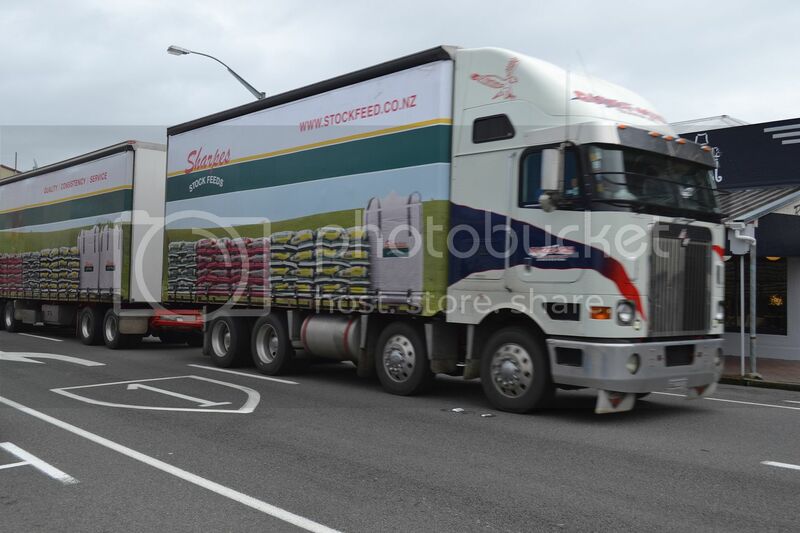 Olsewski's (from Carterton) International 9800 accelerates up SH 1 after the RH turn at Bulls.